From a selection of photographs compiled by Hopper and gallerist Tony Shafrazi—more than a third of them previously unpublished—this extensive volume distills the essence of Hopper’s brilliantly prodigious photographic career. Also included are introductory essays by Tony Shafrazi and legendary West Coast art pioneer Walter Hopps, and an extensive biography by journalist Jessica Hundley. With excerpts from Victor Bockris’s interviews of Hopper’s famous subjects, friends, and family, this volume is an unprecedented exploration of the life and mind of one of America’s most fascinating personalities. After our limited and art editions, this book is now available in a standard edition. Dennis Hopper (1936–2010) was an acclaimed artist, actor, screenwriter, and director who first impressed audiences with his performances in Rebel Without A Cause (1955) and Giant (1956). He changed the face of American cinema with Easy Rider (1969), which he cowrote, directed, and starred in. Hopper went on to act in hundreds of memorable films and television shows, including Apocalypse Now (1979), Blue Velvet (1986), Hoosiers (1986), True Romance (1993), Basquiat (1997), Elegy (2008), and the TV series Crash (2008). Hopper began painting as a child and started taking photos in 1961, after his then wife Brooke Hayward gave him a 35 mm Nikon camera for his birthday. 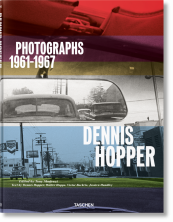 His paintings and photography have been exhibited all over the world, including the recent retrospective, “Dennis Hopper and the New Hollywood” in Paris. 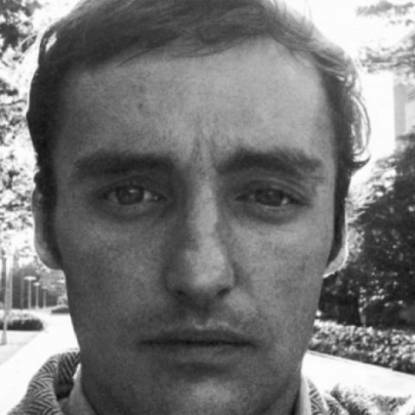 Dennis Hopper passed away May 29, 2010, in Venice, CA. An Englishman who moved to New York in 1973 and became connected to Andy Warhol, the Factory, and Interview, Victor Bockris has written books on Lou Reed, Andy Warhol, Keith Richards, William S. Burroughs, Patti Smith, and Muhammad Ali. Walter Hopps (1933–2005) was one of the premier curators of 20th-century art. Cofounder of Los Angeles’s Ferus Gallery and director of the Pasadena Museum of Art, he was responsible for the first retrospectives of Kurt Schwitters, Joseph Cornell, and Marcel Duchamp. A key advocate of American Pop art, his 1962 survey “New Painting of Common Objects” was the first of its kind. After directing the Washington Gallery of Modern Art, he went on to build the Menil Collection museum in Houston and became its founding director in 1987. A filmmaker and frequently published art, music, and film journalist, Jessica Hundley has directed several documentaries and recently completed her second book, a biography of country-rock legend Gram Parsons. "Thanks to a remarkable selection, this book delivers the essence of what one could consider a work of art. An intense and uncompromising photographic work, an invaluable witness about the artist, comedian and underestimated director, and about the time period."